Rumors out of Apple’s Asian supply chain claim the next iPhone will provide compatibility with Integrated Device Technology’s “Wireless PowerShare,” enabling the ability to wirelessly charge devices like Apple Watch and AirPods. 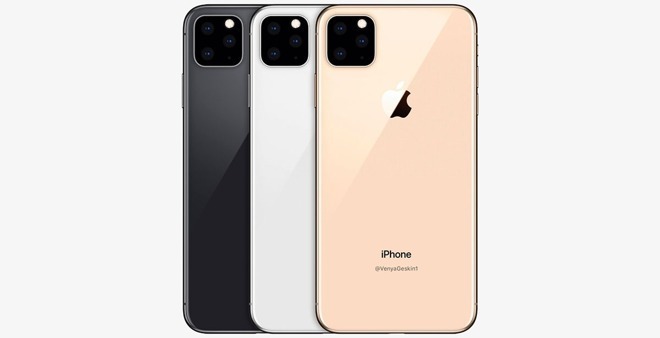 Citing a supply chain source, Mac Otakara reports Apple’s next iPhone will take a page out of Samsung’s playbook with the introduction of IDT’s Wireless PowerShare technology. The Qi-based wireless charging solution debuted in 2015 as a method by which mobile devices can wirelessly charge one another. Samsung became the first major smartphone manufacturer to build the tech into a shipping handset with this year’s Galaxy S10 series. With Wireless PowerShare, a next-generation iPhone would be capable of charging Apple’s new Wireless Charging Case for AirPods. Sources also claim the technology might be adapted to support Apple Watch, which uses a proprietary wireless charging protocol. Today’s report echoes predictions from analyst Ming-Chi Kuo, who in a research note in February said Apple’s 2019 iPhone will ship with a “bilateral” wireless charging feature. The China supply chain source also said the next-generation iPhone will integrate faster wired charging via a USB-C to Lightning cable and supporting internal hardware. As noted by Mac Otakara, the new C94 Lightning connector specification enables 18W fast charging over USB PD, or USB Power Delivery. Resurfacing rumors from last year, the source suggests Apple might include an 18W charger with this year’s flagship iPhones. Apple’s current iPhone XS and XR series ship with a standard 5W USB power adapter in the box.